Here are the top highlights that occurred in the last week in our ‘Weekly News Round-Up’ from the Department of Justice and Equality. Click on the 'Read More' link in each story to learn more. Read previous editions. The Tánaiste TOOK the opportunity of the Council to participate in a number of bilateral meetings with European colleagues from Spain, Belgium and the Netherlands to discuss INTERNATIONAL CO-OPERATION ON ORGANISED CRIME. She attended the Justice Home Affairs Council at which ministers dealt with an extensive range of matters including the Digital Single Market, European Criminal Records Information System, cybercrime, the migration crisis, internal security and the fight against terrorism. Read more. 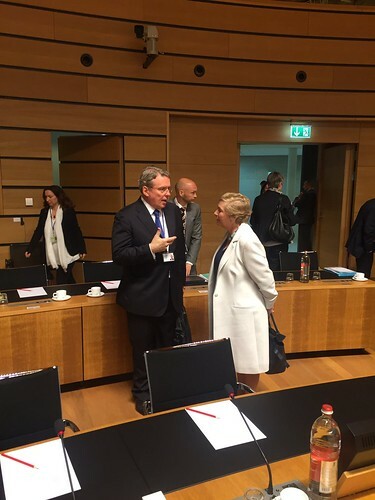 Photo on the left: Tánaiste Fitzgerald talks to Ard van der Steur, Dutch Minister of Security and Justice, on areas of mutual interest before Council commences. 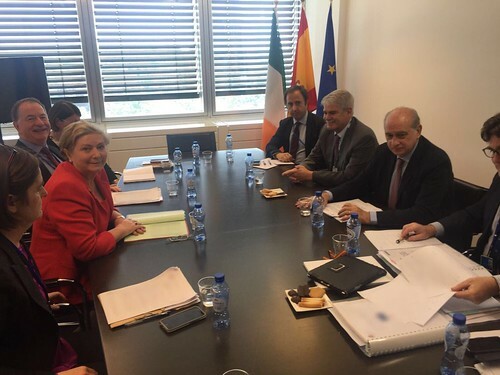 Photo on the right: On 10th of June, Tánaiste Fitzgerald met the Spanish Minister for the Interior, Jorge Fernández Díaz, to discuss bilateral cooperation in the field of home affairs and in particular police cooperation against organised crime groups operating in both countries. Read their joint statement. Speaking at the conference, Minister Stanton reiterated Ireland’s commitment to playing its part in efforts to address the ongoing migration crisis. 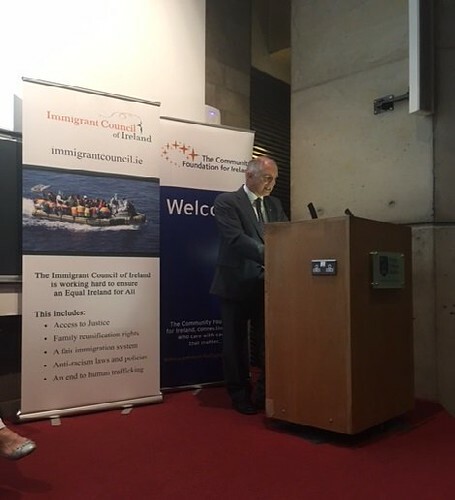 He noted, in particular, that Ireland had made a commitment to admit 4,000 people under the Irish Refugee Protection Programme (IRPP) and had voluntarily opted in to two EU Relocation Decisions. As part of the IRPP Ireland has pledged to admit 520 programme refugees under the EU Resettlement programme. 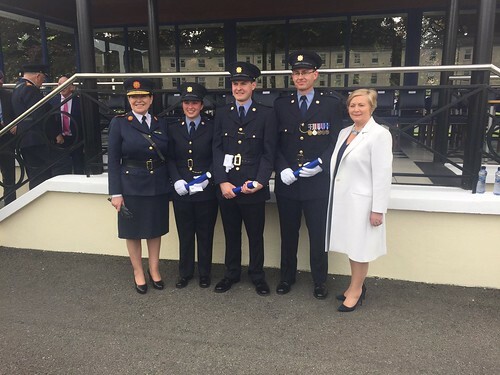 Tánaiste Frances Fitzgerald and Commissioner Nóirín O'Sullivan with medal winners Gardaí Aoife O'Malley, John Macken and Iain King.